Bluford High series offers FREE audio books! Click here! Search the Catalog: Click on Mustang below. -Book Trailers For All: From home, view this youtube channel of book trailers categorized by age-group. -The Teen Channel from Barnes and Noble Studio has a good selection of trailers. (Select 'Teens' by scrolling down in 'Channels' column on left). NPR's list of 100 Best Teen Books Ever! Click here. Explore the 'Book Lists' page for recommendations of books you might like to read. "Hunger Games on Steroids! 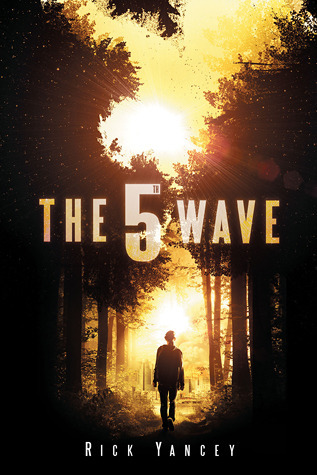 "Check out The 5th Wave by Rick Yancey. Click on book cover below for book trailers! 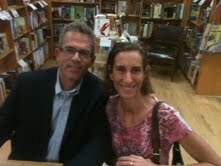 Ms. Stevenson with author, Rick Yancey, at Book People! Check out this new movie trailer for Shusterman's Unwholly! "I can't decide whether to punch this book or kiss it," Madeline, 8th grader, after reading The Fault in Our Stars by John Green.